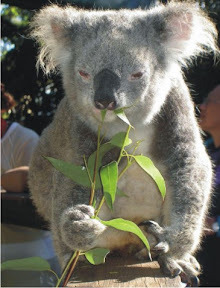 Australia – the land of kangaroos and koalas – is home to range of tourism icons from one of the most scenic ocean drives to the only natural wonder visible from the moon. Apart from its picturesque beaches and iconic Opera House, Australia is known for its natural miracle – Uluru (also known as Ayer’s Rock). This huge monolith that changes colour according to the time of the day is also the world’s largest single rock mass. Then there is Vivid Sydney, the festival of colour and music in which the Sydney Opera House lights up like never before. Swim with whale sharks at Ningaloo Reef or catch a crab at Terranora Lakes. Explore the exhaustive flora of the world’s oldest rainforest, Daintree or snorkel amidst vibrant coral and exotic fish at the world’s largest living organism. So refreshing and charming is the Great Barrier Reef that taking care of Hamilton Island off the reef coast has been mooted as the “Best Job in the World.” And when you are done with everything, head northwest where Roebuck Bay offers you the romantic spectacle of a lifetime. On full moon nights at low tide, the moonlight gets so reflected on the undulating land and sea that a magical staircase leading to the moon appears! It is easy to fall in love. From bungee jumping to zorbing to the more traditional activities of skiing and trekking, New Zealand has some of the best adventure sports facilities in the world. For those keen on adventure, New Zealand is a heaven without limits. 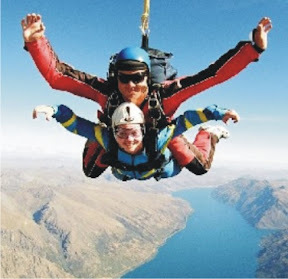 Taupo offers the opportunity to jump with a friend from a height of 5000 metres. Mount Cook has the fascinating provision of helicopter landing right on top of a glacier – an unforgettable experience. As if this was not enough, two of its cities are the world’s premier adventure sites – so much so that Queenstown is called the Adventure Capital of the World and Auckland is billed as the City of Sails. Apart from the world of adventure, New Zealand also offers some exotic experiences. Rainbow Springs in Rotorua boasts of a Kiwi encounter. Waitomo has underground caves which are illuminated naturally by thousands of glowworms. And the southernmost point of New Zealand, Stirling Point boasts of a “hundred percent pure” snow mountain experience not found anywhere else. 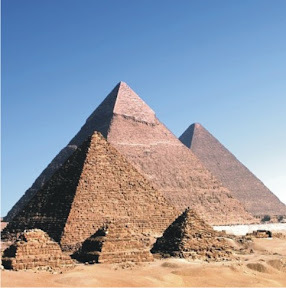 Does Egypt conjure up images of monuments thousands of years old? Cairo has so many tombs of the ancient pharaohs that a part of it is called the “City of the Dead”. Luxor, regarded as the largest open air museum in the world, is an entire city that has battled 4000 years of time. Abu Simbel is a millennia old temple carved out of a single piece of rock. Mount Moses was where the Ten Commandments were first spoken. But not many know that Egypt also has a lot to offer someone who wants a laidback holiday. With splendid beaches at Hurghada and Sharm el-Sheikh and the Pearl of the Mediterranean – Alexandria, along with a lazy trek through the Black Desert, it is a mixed bag. Being a land of diversity – from bull fights to major sporting events to fine wines and diverse cultures to the most unusual festivals – Spain is a country worth exploring. They say there is not just one Spain, but many. There is the Spain of Barcelona with its stunning Gaudi architecture and smart shopping streets. There is the Spain of historical landmarks like the world’s oldest lighthouse in Galicia, the medieval wonder of the Mosque of Cordoba and the romantic Moorish palace of Alhambra. There is the Spain of adventure with the active volcano treks of Tenerife and both skiing and sunbathing in the same place in Andalusia. The Spain of Ibiza with its dazzling beaches and exotic resorts is a different world altogether; the island is mooted as the Party Capital of the World. And then there is the most unforgettable Spain, that cannot be missed – the Spain of Seville’s amazing pre-Easter fiesta, Madrid’s unique bull-festival and Buñol’s ravishing La Tomatina food fight festival. 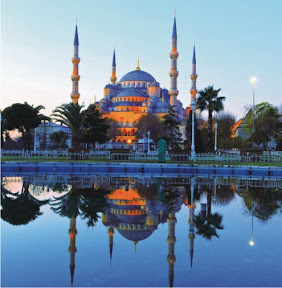 Istanbul is the European Capital of Culture for 2010 and also the only city in two continents. It hosts the F1 Grand Prix in May 2010 and is the ideal hub to visit various wonders of Turkey. For anyone wanting to uncover a world of ancient civilizations, Turkey is heaven. From the ruins of Troy to the Roman remnants of Ephesus and from the ancient mosque of Hagia Sophia in Istanbul to the sculptures of Mount Nemrut, Turkey is soaked in history. Yet it also has unique experiences to offer. Experience what it would be like to live in a cave hotel at Cappadocia. Raft along the rapids of Çoruh River – one of the fastest in the world. Gaze in wonder at the cotton castle of Pamukkale – hot springs naturally filled up in spectacular rock formations. Trek up Mount Ararat which legend says was the only place high enough for Noah’s Ark to land. And lap it all up with a historic Blue Voyage cruise along the Turkish Riviera. And last but not least, experience the city at the crossroads of cultures and continents as well as being a European Capital of Culture in 2010, Istanbul. South Africa – the Rainbow Nation – has hosted a myriad of Indian experiences from Bollywood shoots, fashion extravaganzas, IPL and now hosts FIFA 2010 – the biggest sporting event of the year. 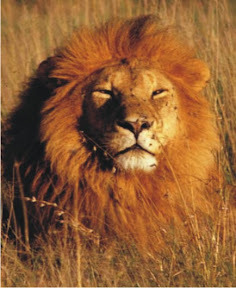 South Africa boasts of the Big Five of Africa’s greatest wild animals – the lion, leopard, elephant, wild buffalo and rhinoceros – all of which can be found roaming oblivious to the ruckus of the world in their natural habitats at Kruger National Park, one of the most beautiful nature reserves of the world. Even outside of Kruger, South Africa offers unique glimpses into the lives of animals, rarely found elsewhere. Stroll with penguins at the Cape Peninsula. Cage dive at Gansbaai to experience the thrill of being within inches of perilous white sharks. Pet a cheetah near Cape Town. And when done with it, explore the other fascinating facets of this country which is also well known for its beautiful cities and archaeological marvels. The city of Cape Town has been rated the “World’s Best City” by London newspaper, Telegraph. Durban boasts of Africa’s largest shopping mall. Vredefort Dome offers a peek at the biggest meteor crater on Earth. And Sterkfontein presents the fascinating opportunity of seeing 2 million year old human bones being excavated. The National Geographic channel has rated the Fjords of Norway as the best place to be in the world and Denmark and Sweden are ranked amongst the top 5 happiest nations – thus making Scandinavia a must visit for all. Scandinavia provides a refreshing world in summer when it is known as the “Land of the Midnight Sun.”There is also the beauty of snow-peaked mountains from the Bergen to Kirkenes Cruise in Norway that the Fjords through which the cruise passes have been declared the “Best Place in the World” by National Geographic. 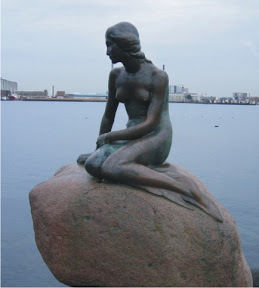 Not far behind is the Copenhagen Cruise which is Europe’s leading cruise destination. An interesting fact about Scandinavia is that it offers natural attractions like no other country owing to its cold climate. Travel on a reindeer sled as you watch the Northern Lights or watch polar bears at Svalbard. Feel how it is at Andenes, a place where the sun never sets. Live in the world’s largest ice hotel which is rebuilt from fresh ice every year in the Swedish Lapland. Simulate the experience of skiing and jumping down 60 metres of slope from one of the world’s oldest ski-jumps. And then of course there is something about the Scandinavian Christmas that no one can beat – meeting the real Santa at the Arctic Circle. Fashion, gastronomy, the fastest train, fine beaches, castle stays, wine and romantic river cruises make France a country that appeals to all. 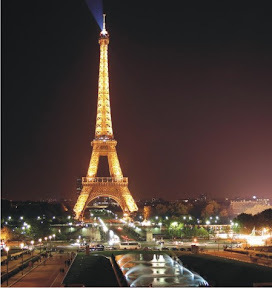 The Eiffel Tower and Louvre Museum are so popular throughout the world that France hardly needs any introduction. Not many know however that France also offers many more unforgettable experiences that have made it the most visited tourist destination in the world; Like barging along the river Seine at twilight as the majestic Eiffel Tower slides by; Or living in a 200 year old heritage castle in the Loire Valley; Or tasting one of the world’s best champagnes in the region of Champagne in northern France; or forgetting the cares of the world while relaxing on a beach at the French Riviera; Or gasping with excitement while travelling in the world’s fastest train from Paris to Lille; Or enjoying tantalizing delicacies served in chivalrous French fashion at Lyon – the gastronomical Capital of the World; Or witnessing the Wonder of the Western World that Mont St Michel is regarded as; Or taking part in one of the world’s largest Christian pilgrimages at Lourdes; France is a must-visit destination in 2010. 2010 is a year of several celebrations for Germany – from the Passion Play to 200 years of Beer Fest, 300 years of Porcelain and the 200th birthday of Robert Schumann, Germany is a nation of unity amongst diversity. 2010 is definitely the year to visit Germany. Along with the Ruhr Valley being a European Capital of Culture, the “world’s biggest party” Oktoberfest will also celebrate its 200th anniversary in Munich when more than six million people are expected to surrender themselves to a festival of food, shopping and beer. The legendary Oberammergau Passion Play which takes place every 10 years will also occur in 2010. To make it even better, shop at Europe’s best Christmas Market in Nuremberg. Traverse the scenic locales of the Romantic Road and Black Forest. 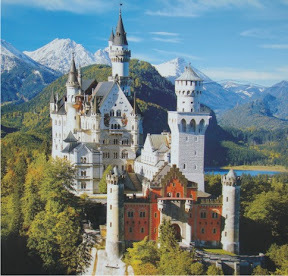 Experience the magic of the fairy tale castle of Neuschwanstein. Stroll through the biggest cities of the world in miniature at Hamburg. Taste a slice of history at the tallest church in the world at Ulm. And be mesmerized at nature’s diversity as you take a peep at 1400 species of animals at Berlin Zoo – the largest in the world. Central Europe – still to adopt the Euro currency – is a great value for money region comprising of the Visegrád quartet of Poland, the Czech Republic, Slovakia and Hungary. If all of Europe’s prime temptations were bundled up and offered at a discounted price, we would be talking of Central Europe. The Czech Republic abounds with castles hundreds of years old including the largest castle in the world – the Prague Castle. 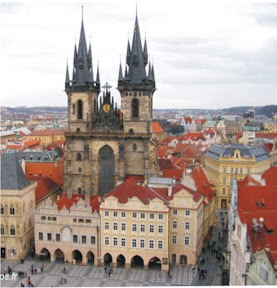 Prague itself boasts of a subtle blend of a glorious past and excellent modern infrastructure and is aptly called the City of a Hundred Spires. And as if to make up for the elegant charms of Paris, there is Budapest – the Paris of the East. Relax in the lap of nature at Masurian Lake district which boasts 2000 lakes. Trek at the Tatra Mountains, long favoured by Bollywood to portray natural beauty. Enjoy adventure sports at the world’s leading green resort AquaCity in Slovakia or dine at Europe’s oldest restaurant in Krakow. From Sachertorte to Mozart’s birthplace to imperial palaces, Austria is truly a class apart. Just over 250 years ago, Austria’s love affair with music began when Wolfgang Amadeus Mozart was born. It continues till today at Mozart’s birthplace of Salzburg – which hosts the world famous Salzburg Festival of Music every year. It is therefore not a surprise that the Academy Award-winning musical “Sound of Music” was shot almost entirely in Austria. But music is not Austria’s only asset. Its capital Vienna offers such a varied cocktail of architectural specimens, shopping and cuisine that it is often called “Europe’s Main Street.” Austria is also home to the world’s most expensive crystal – the Swarovski crystal which has an entire museum dedicated to it near Innsbruck. Nature too has been very kind with this cultural paradise. 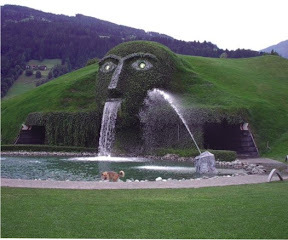 The Hohe Tauern National Park is the Alps’ largest Nature Reserve while Eisriesenwelt has the world’s largest ice caves. And for the historically inclined there is the archeological park of Carnuntum where a 2000 year old Roman city has been reconstructed. To add to all this is the unique Museum of the Future in Linz completed in 2009 which depicts the state of Earth decades from now. The Hashemite Kingdom of Jordan is easily accessible with visas on arrival for Indians and offers a truly royal experience. If one phrase had to describe what Jordan has to offer, it would be “The Land of History, Mystery and Mythology.” At Jerash in northern Jordan, actors immaculately dressed as Roman Warriors enact a stunning display of ancient civilizations with fast paced Chariot Races and Gladiator Fights. The desert castles of the east are some of the finest and earliest examples of Islamic art in the world. Incidentally one of the holiest places for Christians around the world is in Jordan too. “Bethany Beyond the Jordan” is where Jesus was baptized. 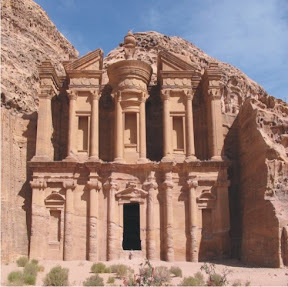 For a cocktail of adventure and history, follow Lawrence of Arabia’s trail in the Wadi Rum desert or explore the Treasury of Indiana Jones fame at Petra. And to relax royally as the kings of yore, take a dip in the 1700 year old Turkish bath at Aqaba. Interestingly, as if to add a modern touch to its glorious historical heritage, Jordan’s capital Amman has one of the best collections of super luxury vintage cars in the world belonging to the royalty and are now part of the Royal Automobile Museum. Is TURKEY the Right Holiday Destination For You? 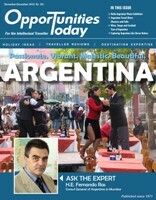 Read the current or previous issues of Opportunities Today online and in their entirety! Enter your email address for intellectual news, updates and much more.